Would a Parenting Workshop Be Helpful to You? 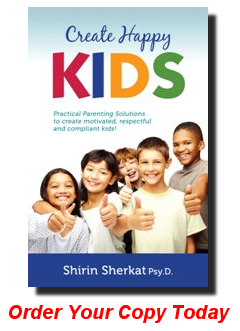 It is my mission to honor children and empower parents around the world with proven, road tested, yet simple parenting strategies that will help reduce struggles, create happy kids, happy parents and add joy to the family. Happy kids take many forms. I define happy kids by twelve important factors. Understand what you, and other adults, expect from them. This understanding occurs when people in their environment i.e., parents, take time to explain their expectations in a positive, clear and concise manner. Are honored; they feel heard, respected and validated. Understand what to expect from their parents and the environment. They know for the most part, what the rules are because someone (the parent) defines clear boundaries, rules, and expectations every day. Even if kids are testing those rules, they will know what they are. Can expect, to a great extent, some routine and structure from their environment. Structure and predictability create a great sense of security in kids. This is very important for healthy growth. Have parents who tell and show them they’re loved unconditionally. Are allowed to make some mistakes, in a supportive environment. When a child’s behavior is criticized, it’s not the same as if his or her character is being judged. Have parents who motivate them to make good choices. Understand the difference between privileges and rights. Children need to understand that their rights are always respected and privileges are always earned. Are noticed and rewarded for making good decisions. Children feel validated when they make good choices. Kids, their good decisions, and desireable behaviors are rewarded by their parents. As a result, children strive to make improvements and try their best because more than anything, they remain hopeful. Are learning how to negotiate and assert themselves while respecting others.